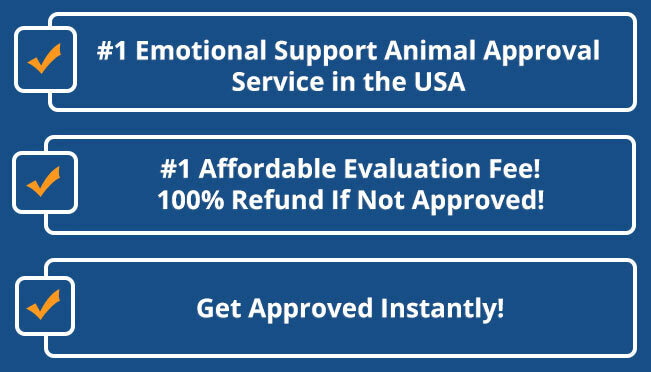 Welcome to the Nation’s LEADING all-in-one online solution for APPROVING Emotional Support Animals. We have streamlined the process for individuals who have a qualifying medical condition to obtain their emotional support animal paperwork online without having to go through the tedious process of visiting their primary care physician. More often than not, patients have wasted a lot of time, energy, and money, seeing doctors who do not believe in the merits of ESA’s (Emotional Support Animals) as a viable treatment option. At TheDOGtor.net, our network of physicians and psychotherapists wholeheartedly believe in the therapeutic benefits of having ESA’s in a patient’s residence, despite their landlord or property manager’s “No Pet” policy. According to the Fair Housing Amendment Act of 1988, a landlord or property manager should not discriminate against any individual who has documentation from a physician or mental health professional, illustrating their need for an emotional support animal in housing. After filling out our brief medical questionnaire, you can rest assured knowing that you will be approved for an ESA instantly, provided that you have established to have at least one of the many qualifying conditions. Not only do we pride ourselves in putting animals in happy and loving homes, but we also value your credit score and your rental history! 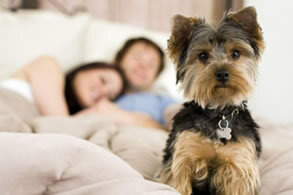 Do not be the individual who gets an eviction notice for having a pet because you did not take the time to go through our simple online ESA approval process. 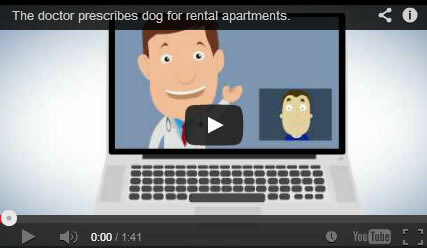 Instead of allowing landlords or property management companies to define where you cannot live, let The DOGtor tell them where you can, by making your rental living pet friendly! 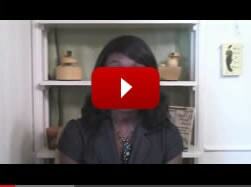 Getting approved for your ESA is only a mouse-click away! Take The DOGtor’s online exam today! Fill out a brief online medical exam by clicking on the tab in the navigation bar titled "online medical exam" or by simply clicking on the link. If you are not approved for any reason, you will receive a 100% same-day refund. Refunds are granted only to those who are not approved by the evaluating medical doctor or psychotherapist. At the bottom of the online medical exam you will be required to choose the treatment plan that most accurately applies to you. Each patient may choose from any of the two packages offered or the travel plan.. The Care Plan offers a 1 year letter that must be renewed twelve months from the date the letter was issued. This is the most affordable plan. It costs 159 dollars for the evaluation and emotional support animal documentation. The most cost-effective package is the Compassion plan, which is 199$ and the ESA documentation has no expiration. It is by far the most popular plan chosen by our patients due to the fact that once they get their documentation, they will be able to live in peace with their new pet without having to come back to see us since the paperwork never expires! The travel plan is a letter for the airlines only and does not include an ESA exemption for housing. Upon completing the online medical questionnaire you must make payment or your medical paperwork will not be submitted for review. The Dogtor will review your online medical exam and inform you whether or not you are approved within 48 hours. During the work week approval is typically same day. In the event that The DOGtor needs to do a further exam he may want to speak with you over skype. However, this is a very rare occurrence. Congratulations if you have been approved! You will be notified of your status typically within 24 hours of submitting your online exam. If you are approved, The DOGtor will sign, seal, and ship out your hard copy emotional support animal documentation via priority mail. You will receive a tracking number as well as be emailed a scanned copy of the letter immediately. In the event that you are not approved, you will be refunded the same-day. We recommend that you follow any recommendations noted to you by The DOGtor before paying us another visit! Fill out a brief online medical exam by clicking on the tab in the navigation bar titled “online medical exam” or by simply clicking on the link. If you are not approved for any reason, you will receive a 100% same-day refund. 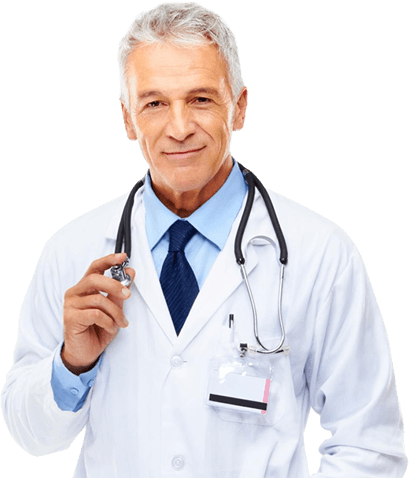 Refunds are granted only to those who are not approved by the evaluating medical doctor. At the bottom of the online medical exam you will be required to choose the treatment plan that most accurately applies to you. Each patient may choose from any of the two packages offered or the travel plan.. The Care Plan offers a 1 year letter that must be renewed twelve months from the date the letter was issued. This is the most affordable plan. It costs 159 dollars for the evaluation and emotional support animal documentation. The most cost-effective package is the Compassion plan, which is 199$ and the ESA documentation has no expiration. It is by far the most popular plan chosen by our patients due to the fact that once they get their documentation, they will be able to live in peace with their new pet without having to come back to see us since the paperwork never expires for housing! However, air travel in the Compassion plan must be renewed yearly. Last but not least is the Travel plan, which is a letter for the airlines only and does not include an ESA exemption for housing. Upon completing the online medical questionnaire you must make payment or your medical paperwork will not be submitted for review. A licensed mental health professional in our network will review your online medical exam and inform you whether or not you are approved within 24-48 hours. During the work week approval is typically within 24 hours. In the event that the mental health professional needs to do a further exam, they may want to speak with you over Skype or a follow up call. However, this is a rare occurrence. Upon approval, you will typically be notified within 24 hours of submitting your online medical exam. If you are approved, The mental health professional who writes the prescription will immediately email you your official emotional support animal approval letter. In the event that you are not approved, you will be refunded the same-day. We recommend that you follow any recommendations noted to you by the mental health professional who reviews your exam before paying us another visit! TheDOGtor.net provides a range of plans that will give you the exact prescription documentation you need. You will not have to pay for unnecessary items, including not having to pay if you fail to qualify for an emotional support animal, unlike most physicians or therapists who will charge you for the office visit to assess your potential to qualify. If you want to save money, please check with The DOGtor first before wasting your time and money going to a therapist or doctor that oftentimes does not understand the need for an emotional support animal prescription. At The DOGtor you can qualify for an emotional support dog, cat, bird, and others should you happen to prefer another type of pet for your emotional support animal certification. 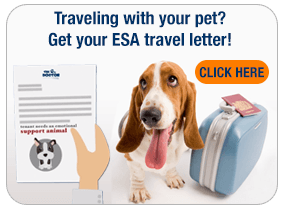 Temporary Travel Letter – Airlines require a travel letter certifying that your animal is an emotional support animal. The emotional support animal certification, in this case, is only for air travel purposes and it will allow you to travel with your emotional support animal in the cabin of the airplane. It can be pulled out at any time you are stopped boarding to certify that your animal meets the federal regulations for an emotional support animal. Temporary Housing Letter – If you want a letter to prove to your landlord that your animal is protected under the FHA and HUD guidelines, you can get one valid for 1 year only. In this case, you will need to be re-certified by one of our qualifying doctors after the one year is over. This housing letter can help settle disputes for people under the threat of eviction due to an emotional support animal. 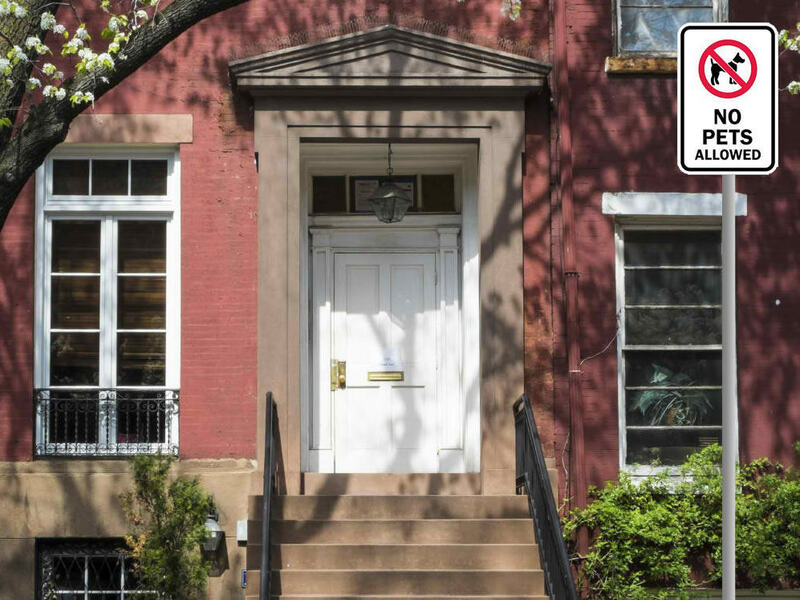 Once the proper documentation is provided, the landlord must meet and comply with the federal guidelines or put themselves at risk for “discrimination” for denying housing against the FHA and HUD legislation for emotional support animals. 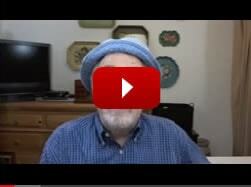 Permanent Housing & Travel Letter – For those that want a one-time certification, they can get the permanent housing letter that does not have to be renewed yearly. That way, no matter where they move to, they can use it for emotional support animal certification documentation that will protect their rights with their new landlords/ property managers. TheDOGtor.net “Compassion Plan” also includes the Travel Plan letter as well. However, please note, that the “No Expiration” with the Compassion Plan tends to benefit the ESA housing portion more than travel because as of now, although some do, most landlords and property managers do not require a new letter every year. Unfortunately it is the Air Carrier Access Act that does require the ESA letter to not be older than one year. Having an emotional support animal is a joy that can increase your well-being and keep you sane in a stressful environment. However, not everyone understands the laws and regulations concerning these precious animals. Having an emotional support animal certification, or letter, can help to educate people who are not aware of the special protections afforded to patients suffering from mental and/or emotional disabilities. Instead of trying to convince your primary care physician that you should be allowed such an animal for your “well-being,” work with mental health professionals who have seen first-hand the benefits that emotional support animals have provided to their patients. 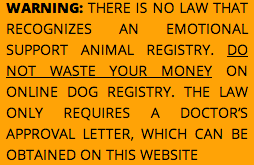 TheDOGtor.net will provide the necessary assistance and documentation to get your pet certified so that you and your emotional support animal can remain protected under the law. Emotional Support Animals – An emotional support animal is a therapeutic animal that is not required to have any special training. Under the Fair Housing Act, any pet may serve as an emotional support animal insofar as the presence helps to alleviate symptoms related to the handler’s mental/ emotional condition. Unlike a service animal, where the animal must undergo special training and schooling to perform a specific task (like helping a blind person see), an emotional support animal can be any type of animal a person chooses. In other words, if you are interested in getting a pet and/ or already have an animal that supports you emotionally, you are protected under the law if a licensed mental health professional writes an emotional support animal letter of prescription for you. There are no breed restrictions when it comes to the Fair Housing Act and Air Carrier Access Act. An emotional support animal is not a “pet,” it is a companion. Therefore, any breed or pet restrictions are not applicable to any individual who is undergoing emotional support animal treatment for their qualifying medical condition.